Available using Sterling Silver or Silver Plated parts. 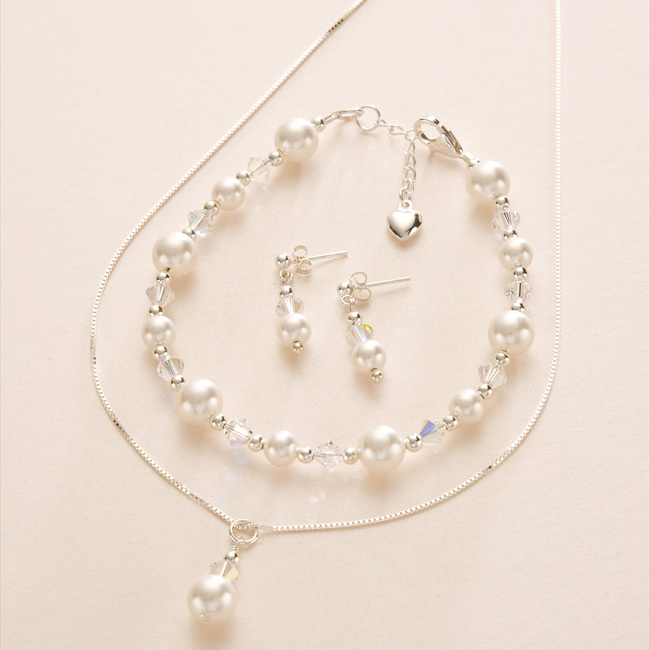 Perfect wedding jewellery for brides or bridesmaids. Pearl colours available: white, ivory and pale pink. Other colours are often available on request.